Over time the spiders have adapted to the climate, meaning that they are more able to live in the British weather! 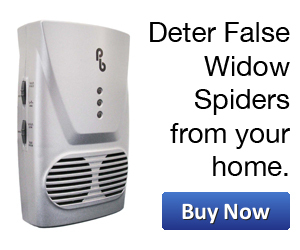 In the past few weeks there have been increased sightings of false widows spiders around the UK, and often a lot further afield than Devon! 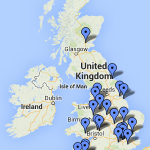 There have been a particularly high amount of sightings in Essex, London and the Greater London area. 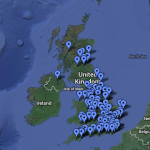 There is also an increase of sightings further north, with some even as far north at Scotland. Experts at the Natural History Museum are saying that part of the reason for the increased sightings is an increase in population, likely due to mild winters the past few years. 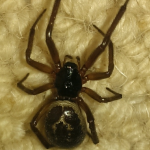 Conservationists are speculating that a change in climate is causing the spider to move further afield and make new areas of the UK it’s home. 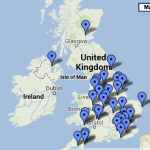 For up to date information on where false widow spiders have been seen in the UK this year, please check out our False Widow Spider Sighting Map. 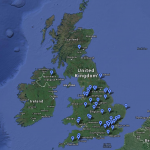 This will enable you to see where false widow spiders have recently been seen in the UK and if false widow spiders are currently know to be in your area. 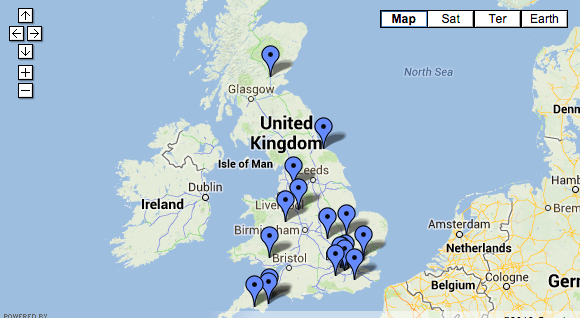 If you have any further information on sightings or would like to contribute to the map, please contact us directly.